The Employee Retirement Income Security Act (ERISA) covers both defined-benefit and defined-contribution retirement plans. 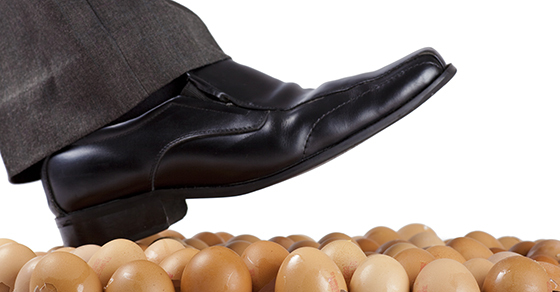 If your organization offers its employees either, you may feel like you’re constantly walking on eggshells trying to oversee all the regulatory details involved. One critical way to stay in compliance and avoid costly penalties is to ensure your plan operates consistently with its plan documents. For example, one employer recently found itself the defendant in a class action suit primarily involving alleged violations of the Fair Labor Standards Act. During this legal action, the employer was also accused of violating ERISA. How? Because the disputed wages were “eligible compensation” under the employer’s retirement plan, as described in its plan document, ERISA applied as well. Underlying those two imperatives is the assumption that you know which documents are the governing “plan documents.” There’s no doubt that the core document explaining how the plan operates comes under this heading, but you may have other written pronouncements tucked away that could be deemed plan documents in litigation. For instance, investment policy statements, as well as plan loan and qualified domestic relations order procedures, might also be plan documents if audited or subjected to legal scrutiny. Even an unsigned plan amendment might. While of course you wouldn’t knowingly write a document that violates ERISA, inconsistencies could easily arise if you don’t subject an amendment to the same level of review as a core plan document. Ask your attorney to look at all such items and help you decide which ones are plan documents. Also, don’t draft documents, such as investment policy statements, because you think you should, but then not actually follow them. What would be worse: having a document, such as an investment policy statement, and not following it or not having one at all? It’ll be a case-by-case determination. And here’s another sobering reminder: The IRS Employee Plans Compliance Resolution System won’t necessarily get you off the hook with respect to plan document violations involving a fiduciary breach that causes financial harm to the plan. That’s because such matters generally fall under the purview of the U.S. Department of Labor, not the IRS. As you review various policy statements, consider explicitly and legally identifying which ones are — and aren’t — plan documents. Doing so will not only ensure that everything’s ERISA-compatible, but also help prevent you from inadvertently making promises that you can’t keep. Contact us for further information. → Should 360-Degree Performance Evaluations Be Anonymous?